Rebate Marketing Program: Can It Work for Your Company? When it comes to rebates, an effective campaign must be a balanced campaign. There are many components that you must take into consideration when setting up a rebate program. They include the creation of the program, check cutting, and fulfillment processing. You can use a rebate clearinghouse if you don’t have the manpower to handle your rebate program, but be sure to investigate their fees thoroughly because some clearinghouses have been known to charge for unredeemed rebates. A successful rebate program must have a perceived value. Rebate programs typically work best with durable goods, higher ticket items. The bigger the value of the rebate, the greater the chance of redemption. Typically, a rebate that is worth $5 is easily forgotten or deemed not worthy of the time it takes to send it in, but a large rebate that is worth $75 or $100, people will take the time to send them in. The greater the chances that the consumer will redeem that rebate. The smaller the rebate, the smaller the redemption rate. Based on market research, the key to a good rebate program is to make it a hassle to redeem the rebate. We call this slippage, the consumer purchases the product with the intention of sending in the rebate. They fail to take advantage of the offer because it is too much of a hassle to assemble the collection of paperwork and proofs-of-purchase. 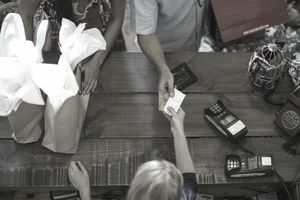 While this is ultimately the idea behind rebate marketing programs, this procedure can leave the consumer with a vague feeling of having been scammed. It isn’t the mark you want to leave on a consumer that you hope purchases from you in the future. If you are considering implementing a rebate marketing program evaluate the offer ensure that not only does it have perceived value, but that it also balances savings and ease of redemption, without leaving a bad taste in one's mouth. Your rebate marketing program must have a healthy balance to be successful. Increasing the size of a rebate increases not only sales but redemption rates. Increasing effort requirements to redeem the rebate decreases sales and redemption rates. Giving consumers more time to redeem the rebate increases the redemption rates. You must state the before-rebate cost, as well as the amount of the rebate. A consumer must clearly be able to identify what their out-of-pocket costs are. Your rebate promotion must clearly any additional terms and conditions that your consumers must know. This includes key terms of any purchase requirements, additional fees, and how long it will take for them to receive their rebate. For full FTC rules and regulations, view their Big Print, Little Print, What's the Deal? brochure. You will also need to have a plan in place to monitor and handle any spiff or rebate fraud. On average, a company will experience 8% to 9% fraud in a rebate marketing campaign. The best way to handle this is to institute an audit protocol with audits that compare data to data. It can be as simple as selecting a unique identifying number like a receipt number and keeping them stored in a spreadsheet that you can reference and search for duplicates.